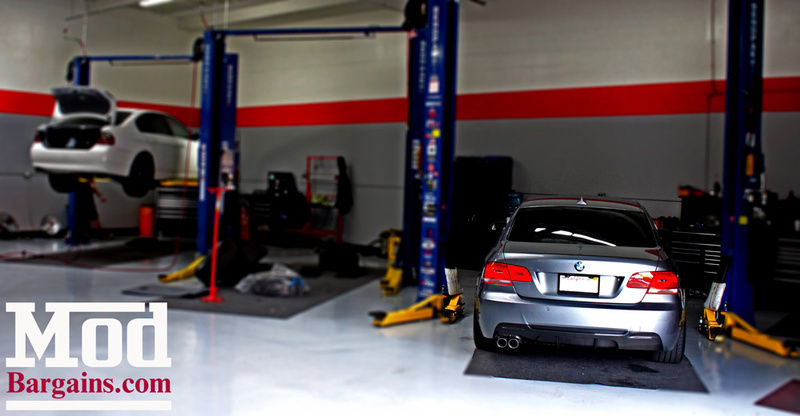 Bryan G’s E92 328i rolled into the shop already looking good, but the stock rear diffuser on his E92 M-Sport rear bumper left the back of his E92 looking a bit plain, fortunately Sr Mod Expert Alan Wei had just the solution to spice up this car’s rear end aesthetics. 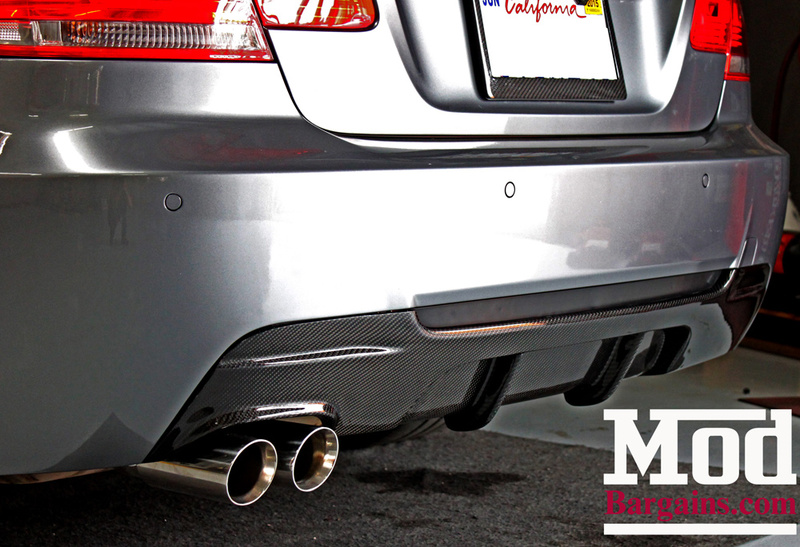 The rear diffuser can really change the look of your car’s rear end, highlight your exhaust or allow you to run a whole other exhaust configuration. 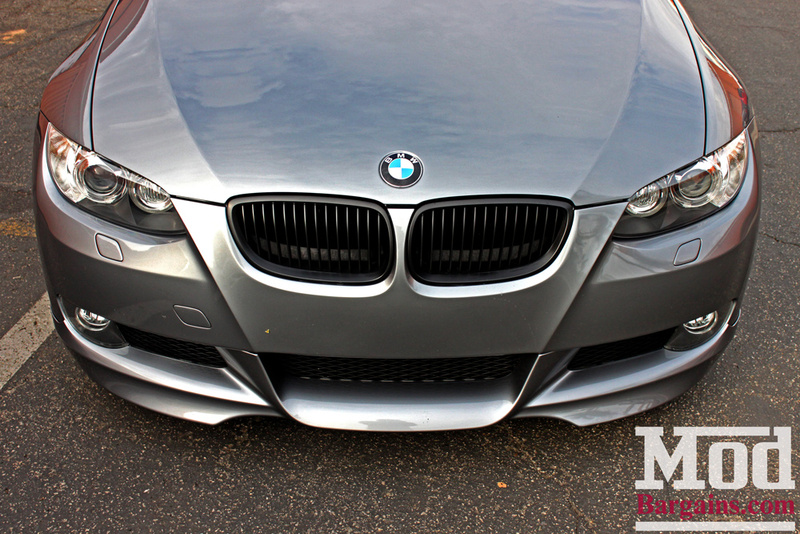 Up front, the car already boasted a BMW Performance M Aero front lip for Pre-LCI E92 models and a set of Matte Black Kidney Grilles for BMW E92 which gives the car a sleeker look up front with more pronounced styling, and this OEM BMW front lip is actually (somewhat) aerodynamically functional. 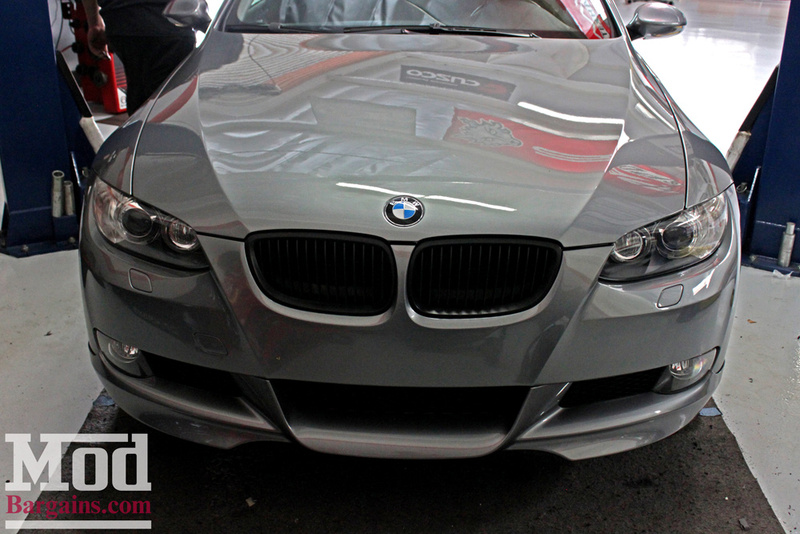 Completing the nose of the car is a set of painted reflectors for E92, helping give the front end a super clean look. So as you can tell, Bryan had taken the look of the car most of the way there. 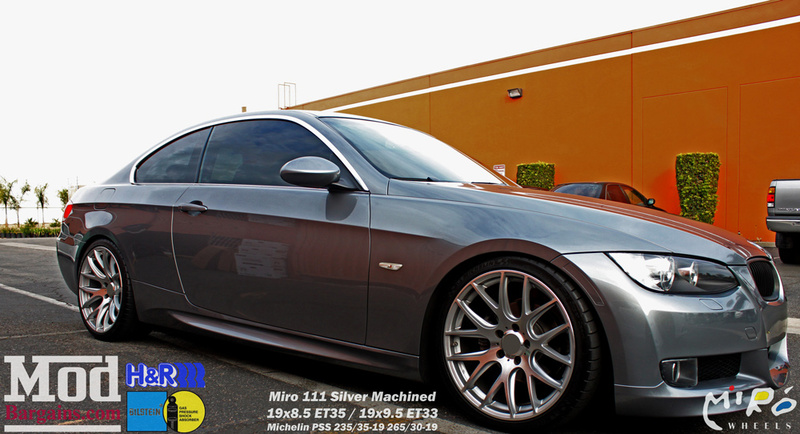 Rolling on a set of Miro 111 Wheels in Silver Machined finish, the car feels almost like a factory sport package for the 328i – and sport is certainly right – the lean, athletic stance comes courtesy of a set of H&R Sport Springs for BMW E92 paired with a set of Bilstein HD shock absorbers to give this car the sharp handling you’d expect of “The Ultimate Driving Machine”. 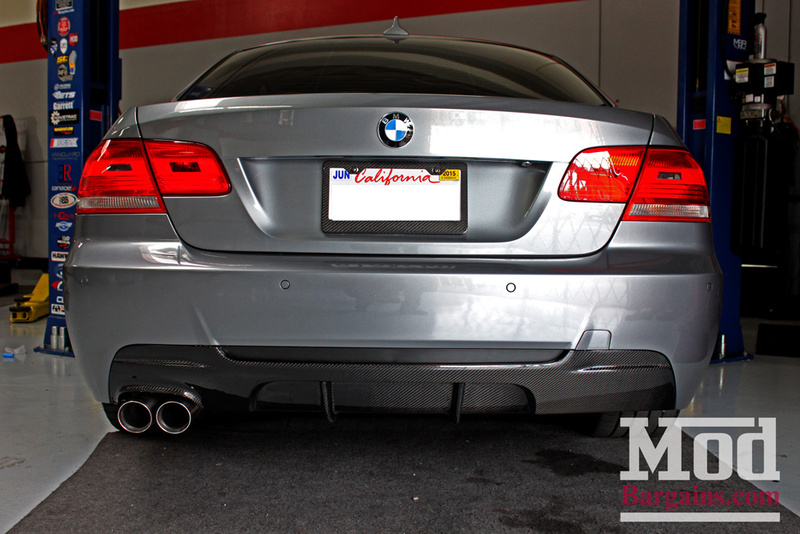 Bryan wanted to retain the exhaust setup on his BMW E92 328i, so a single exit diffuser was the way to go. 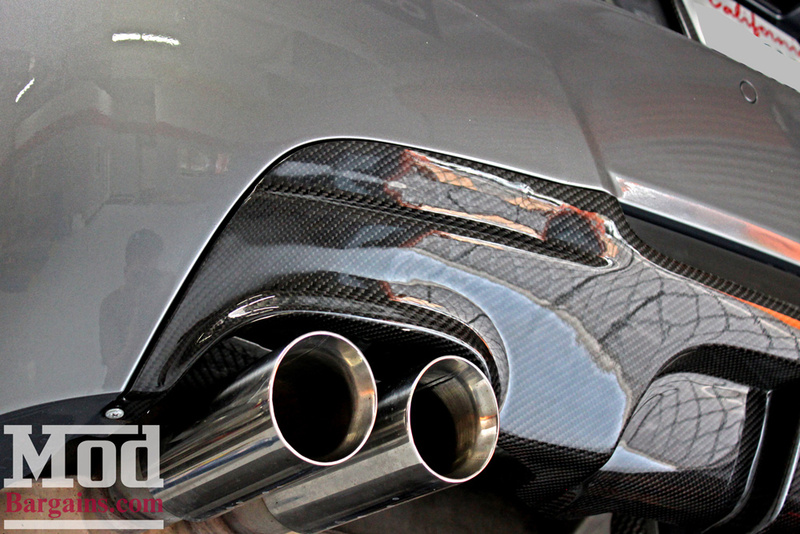 Fortunately we offer this Carbon Fiber Performance Style Rear Diffuser for E92 in both single and dual exit configurations to suit your exhaust setup. 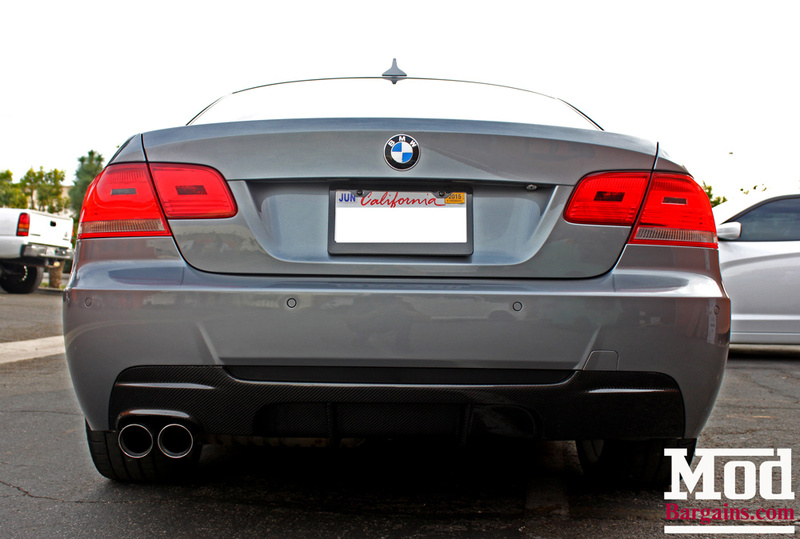 The carbon fiber detailing and the pronounced fins of this Performance Style E92 Rear Diffuser really makes the bright exhaust tips “pop”. 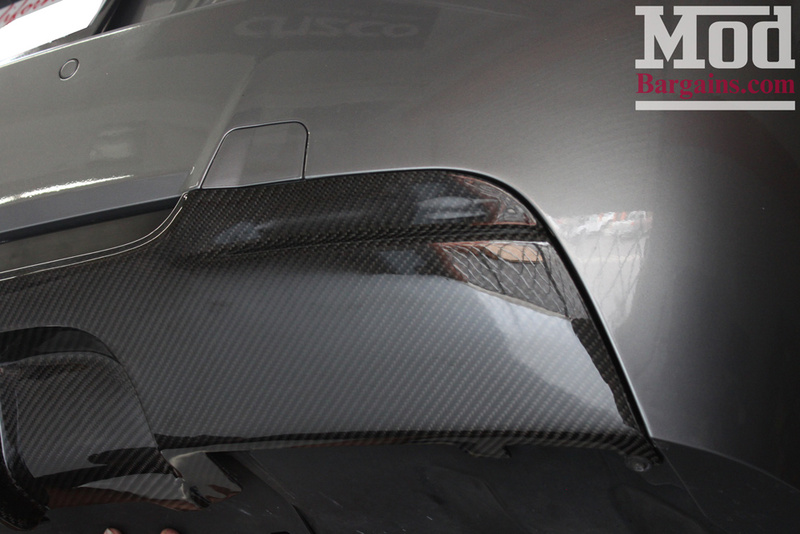 Take a look in these detail shots of the diffuser after installation. 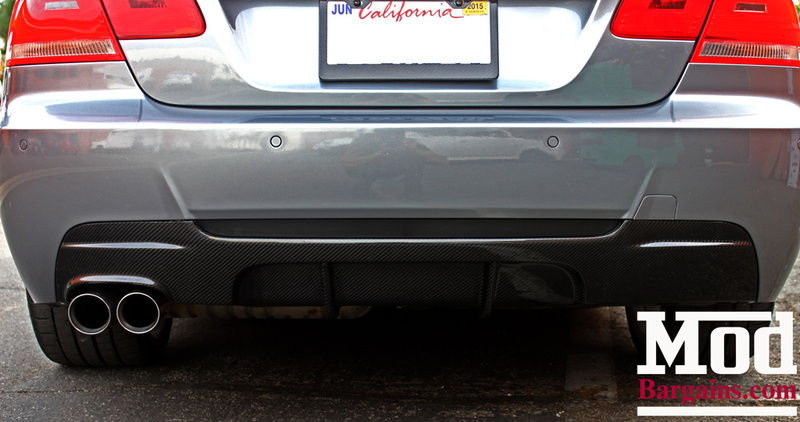 With an aftermarket Carbon Fiber diffuser, unless you’re buying OEM parts, typically nearly every brand piece will need some adjustment or massaging to look and fit the best, and so we always recommend professional installation, which is why Bryan trusts our Installers here at ModBargains’ install shop, Mod Auto, for fitting his. Back on the ground outside, we could take a step back to appreciate the finished product. 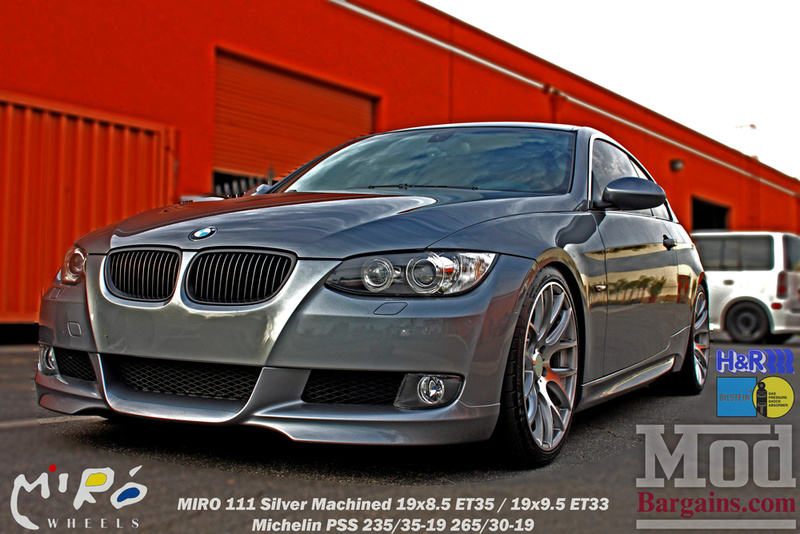 The overall look of the car is a super clean, polished look rivaling something that BMW might’ve done as a factory package. Thanks to Bryan for letting us share what he’s created here. 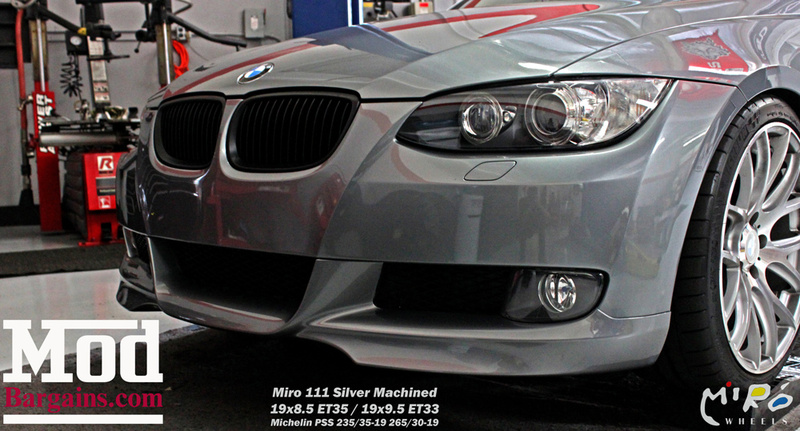 Interested in spicing up the look of your BMW? 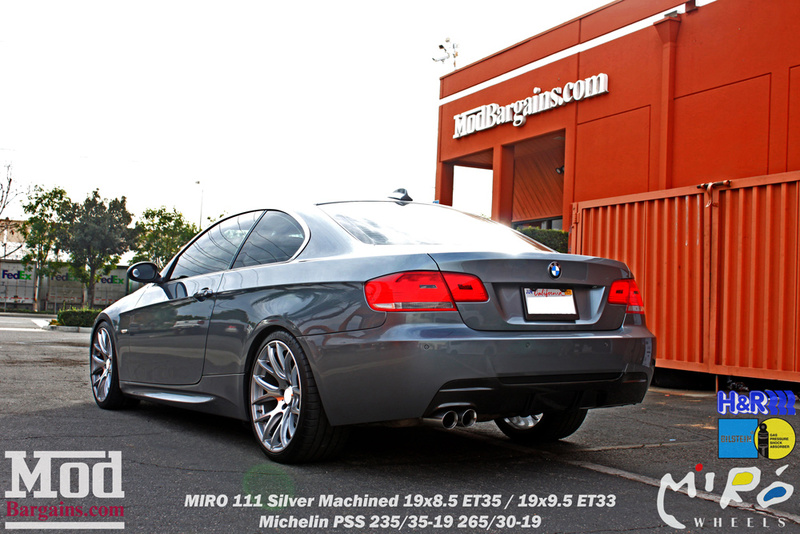 Ask the Mod Experts like Sr Mod Expert Alan Wei what exterior upgrades are available for your car to change the style of your ride. 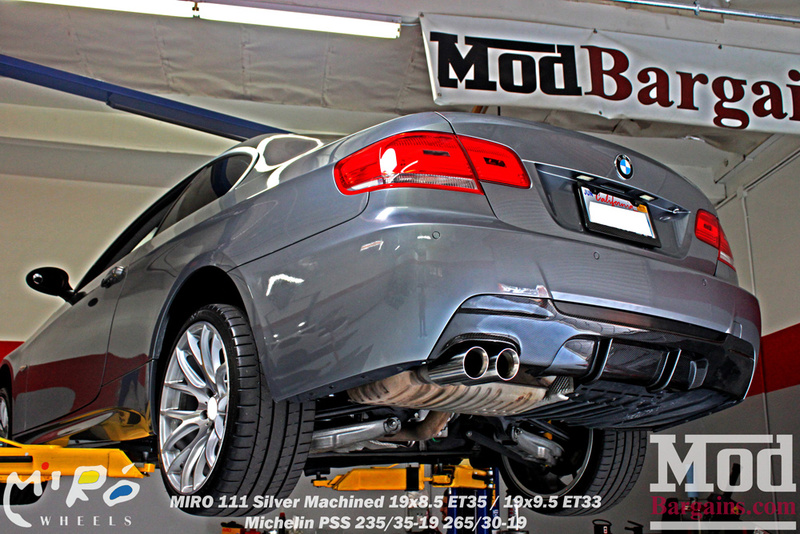 Call us at 714-582-3330 (x8006 for Alan) for expert car mod advice and schedule your installation at the Mod Auto shop today.